Jeanswest recognises the need to lessen our impact on the environment to ensure it can be enjoyed for generations to come. We are continuously reviewing our processes, both locally and offshore, to take steps to reduce our footprint as much as possible. In early 2016, we replaced the plastic bags used in all 219 of our retail stores with paper bags, removing a total of 1.85 million plastic bags from production. 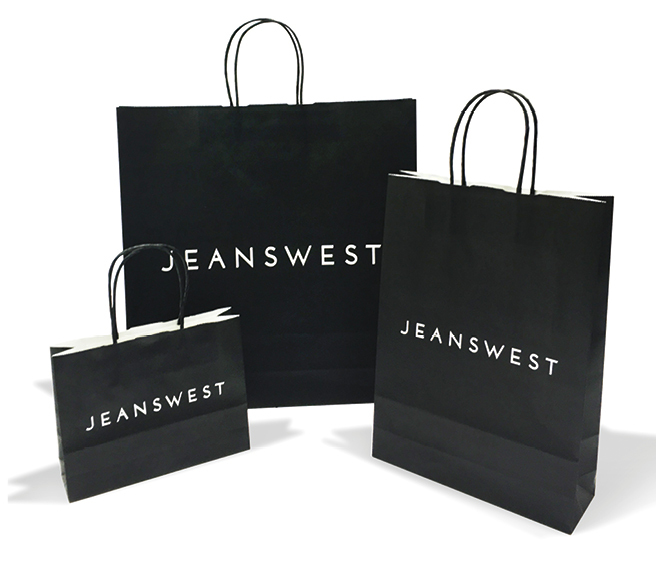 Paper bags can easily be recycled through curbside recycling across Australia and we encourage all Jeanswest customers to reuse where possible and dispose of responsibly. Poly bags that protect the clothing during transit have been reduced in quantity too. In 2013, we removed an additional outer layer protective bag that proved unnecessary as well as reducing cardboard in our shipping cartons. Furthermore, at the beginning of 2017, we commenced transitioning our store bags to Forest Stewardship Council (FSC) certified paper stock which means the paper comes from responsibly managed forests. Forest Stewardship Certification is a chain of custody scheme verifying forestry products along the production chain. At each stage in the chain of processing and transformation, chain of custody certification is needed to confirm that FSC certified wood products are kept separate from uncertified products, or mixed in approved ways. You can learn more about FSC here. Across our network of stores, we encourage reuse wherever possible and are committed to implementing systems and processes that help us reduce our retail footprint. All new stores use LED lighting and when updates to store fit outs are required, these include the implementation of LED lighting also. In addition, timers are used for lights and air conditioning systems and sensor lights for stock rooms. We are constantly looking at ways to go paperless and reduce the amount of point of sale printed material. To this end, in 2013 we launched iPads into certain stores for management reporting. This has replaced the need for printed weekly reports and visual merchandising guides. We’re continuing our efforts and have replaced printed visual merchandising materials with digital LED screens in all new stores. As with LED’s, a roll out of screens across existing stores will take place as updates to fit outs are required. All new centre stores are painted with low Volatile Organic Compounds (VOC) paints. VOC’s are harmful chemicals that vaporize in the air. Any store updates that require an extensive upgrade incorporate low VOC paints. Fittings are constantly recycled throughout our store network as are all delivery boxes and clothes hangers. We see these items as resources not waste so as long as something can continue to be of use we will put it to work! In 2012 we consolidated our distribution points reducing the number of centres to two, one in China and one in Australia. In doing so, we have not only reduced the number of shipments but utilized container space more efficiently. We predominantly use sea freight for our product deliveries and by driving efficiencies in our local distribution process such as freight consolidation; have managed to reduce the number of deliveries to our network of stores. On site recovery systems for all packaging, delivery cartons and damaged stock are in place at our Australian Distribution Centre. Stock fulfillment to stores reuses delivery cartons and in turn these are returned to the Distribution Centre to continue to be recycled. Excess cartons are compacted and recycled and soft plastics are diverted from landfill via recycled plastics collection. 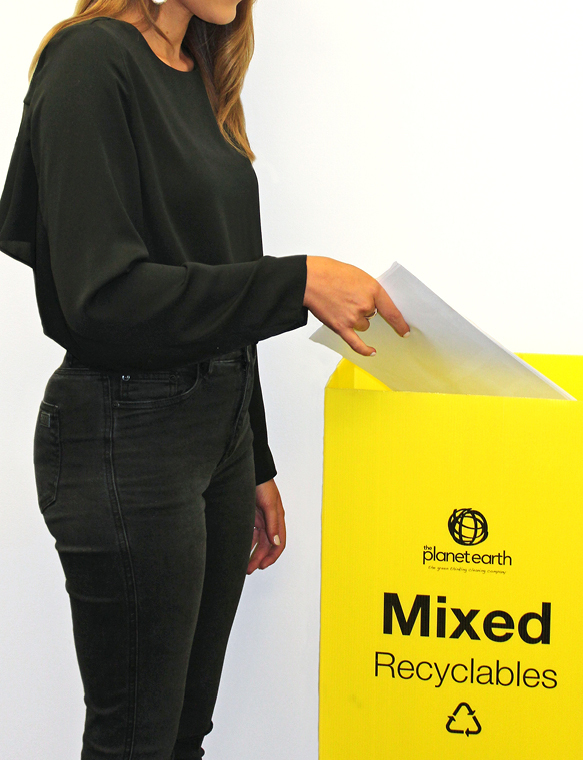 At our National Support Centre in Melbourne, Victoria we have implemented a number of initiatives to encourage staff to recycle and reduce their impact. We have in place co-mingled recycling for all paper, plastics and glass and through a preliminary waste audit have identified further opportunities for waste recovery. Throughout our support centre, all departments are encouraged to reduce paper usage by issuing meeting material and reports via softcopy instead of printed copies. We are continuing to monitor our paper usage to reduce this further where we can. All printer cartridges are recycled via ‘Close The Loop’ for Planet Ark through our provider Konica Minolta and any printing requires swipe access to reduce wastage. For more information about ‘Cartridges 4 Planet Ark’ and to see how many cartridges this initiative has diverted from landfill, click here. Since 2015, our parent company Glorious Sun has worked closely with the Hong Kong based Clothing Industry Training Authority (CITA) and the Hong Kong Research Institute – Textile and Apparel (HKRITA) to implement Activity-based Carbon Footprint Modeling (ACFM) software in a number of factory sites that manufacture for the Glorious Sun business. This ACFM software records and analyses the consumption of gas, electricity, oil and water on the factory site providing factory management with an understanding of the energy consumption within each production area and opportunities for improvement. Annual reports allow each factory site to analyze carbon emission data against previous years and make recommendations for areas of focus for the coming year, ensuring continual reduction in emissions. This program is undertaken by seven of our largest factory partners and will be rolled out to another fifteen Glorious Sun factory partners in 2017 with a long-term goal of extending further to our mills, laundries and spinners. Zhaowen is one of the first of our factory partners to take part in the program and in 2016, reduced its overall carbon emissions per garment by 10%. An upgrade to a more energy efficient air compressor, improvements to gas pipelines, energy saving motors installed on sewing machines and an extensive roll out of energy saving lamps throughout the factory have contributed to savings in carbon emissions. You can read more about our factory partner Zhaowen here. All Jeanswest jeans come with a lifetime quality guarantee. Yes…LIFETIME! We design and manufacture our denim to last and believe in the quality of our products, and hope that you love your jeans forever. The guarantee covers manufacturing faults in regards to buttons, rivets, zippers, belt loops or seams. We will replace your faulty jeans with a new pair. 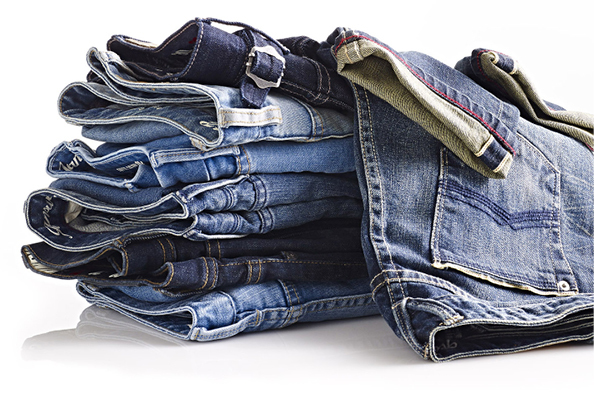 This excludes general wear and tear of your favourite jeans, such as fading and thinning out over time. Please hold on to your receipt. Jeanswest recognizes that water usage and chemical treatment is a significant issue for the fashion industry, particularly in relation to denim. We are actively looking at ways to limit the impact of our production and aim to work with facilities implementing measures to reduce impacts. One of our main laundries in China has a wastewater filtration plant that processes over 2,000 tonnes of waste water from the washing process each day saving of 1.3 million litres of water per day. You can read more about Shiu Cheung here. Another key supplier of Jeanswest denim, Advance Denim Mill, has a sewage disposal facility in place achieving zero waste sewage discharge with over 7,200 tonnes of waste water processed daily. The facility generates enough electricity to power the energy requirements of the mill including production, steam and hot water systems. You can read more about Advance Denim here. In Australia, ABMT, a production partner in our Homespun ranges, has a state of the art water treatment facility that recycles over 85% of its waste water into Class A grey water used for parklands and agriculture. Jeanswest has also participated in talks with the Australian Water Stewardship program and contributed input to the development of its upcoming water standard. Our Chairman is the Vice President of The China National Textile and Apparel Council (CNTAC) that is developing a CSR standard specific to the Chinese garment and textile industry covering social as well as environmental factors. In late 2016, CNTAC launched its Chemicals Stewardship Initiative 2020 and announced a strategic collaboration with the Zero Discharge of Hazardous Chemicals (ZHDC) Foundation to improve chemical management across the textile supply chain. You can learn more about this initiative here. 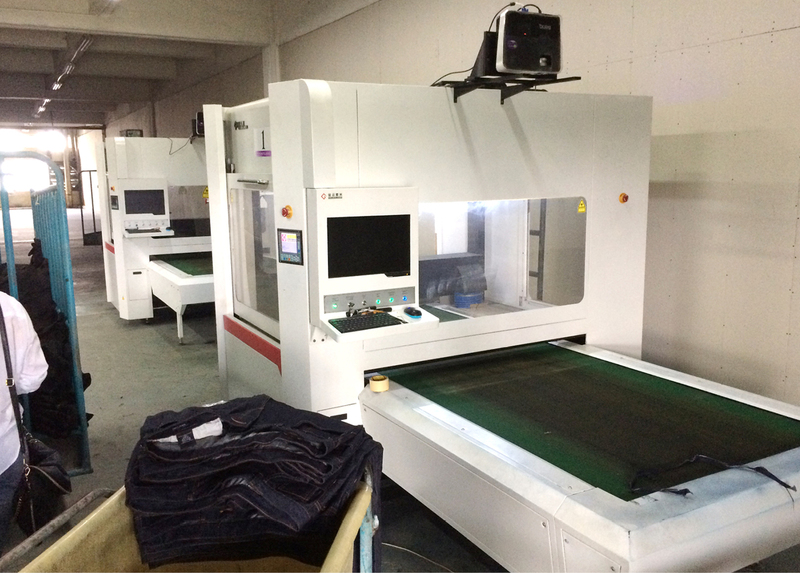 Textile innovation plays a big part in achieving less impact and, across various denim ranges, we choose laser technology to apply affects to our jeans. Laser technology uses far less water, chemicals and energy than traditional methods, as no chemicals or water are required in the application of this method. We incorporate Tencel® across our ranges, a form of lyocell which is a cellulose fibre sourced from regenerated tree pulp. Tencel® is a sustainably sourced lyocell using plantation eucalyptus trees rather than old growth forests and non toxic solvents. We continue to look into positive solutions across the industry to enable us to manage and reduce our environmental impacts.